Glenda and Jessie from The Tidy Maids are wonderful. My house looks beautiful. I highly recommend The Tidy Maids and expect to be working with them regularly in the future. A real pleasure. They did a fantastic cleaning job! They were on time and everyone is extremely friendly. Look forward to continuing business on a regular basis each month. This was the first cleaning service I've ever had clean my home, and I really lucked out! They did a really beautiful job and showed a great attention to detail. I was so happy to come home to a really clean, dust-free and polished house, much cleaner than when I first moved in! I'm now having them regularly clean my home. 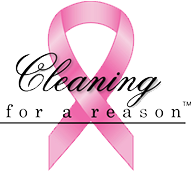 I have used three other cleaning services and none of them compare to Tidy Maids. Isabel and Anita are great! They are very pleasant and attend to every detail in cleaning my home. Beverly is also great in accommodating schedule changes. I highly recommend Tidy Maids! We love The Tidy Maids. They have been cleaning our house downtown for almost a year. We are a busy household of 5 and on a limited budget, but they keep it affordable and we see a HUGE return on our investment, even with just one cleaning per month. They stay until the job is done unlike some groupons or deals you may find that are just an hourly service. I highly recommend them if you're looking...and even if you're not. The once a month has made a working mom of 3 just a little more sane! Thanks guys! I've used Tidy Maids for the last 5 years. They are the best in Raleigh! Very thorough, reliable, trustworthy, and just plain awesome. I highly recommend them. I actually never have gotten to meet the team, because I provided them with my home key, so they always came when my husband and I were at work. They are what I call truly reliable and trustworthy. I've never had one complaint with their service. My husband and I recently purchased a new home with double the square footage and we look forward to them cleaning our new home as well. Keep up the great work guys! I've once again come home to a squeaky clean house and boy, does it feel wonderful! I was hesitant to hire The Tidy Maids after a string of disappointments with other cleaning services. When I first spoke with Tidy Maids, I let them know that I had a few additional requests (simple but, so many kept forgetting), they agreed without even hesitating. The crew is always very pleasant to have around and I trust them in my home alone. Beverly has been wonderful. She's been responsive and communicative. She's even added a few more requests to my file (i.e. keep this door closed, keep this one open, use my bona mop, don't use chemicals on the induction stove, etc.) and I only had to tell her once. This sounds simple but, so many times I had to keep reminding previous crews because they always sent a new person and the message wasn't conveyed. Pros: - They do a great job and go above and beyond for the little things (i.e. moving light items to vacuum under, fluffing the kleenex, folding the tp) - Great price - Wonderful Customer Service - Trustworthy - Pleasant attitudes Cons: - If you find one, tell them, I bet they fix it! I absolutely LOVE LOVE LOVE this company and the service they provide. This service has been absolutely wonderful! I have really enjoyed them coming into my house and leaving it smelling and looking clean. The first day that I walked in I was shocked at how amazing my house looked. It was spotless from top to bottom and by far the best cleaning company we've found in Raleigh. I had originally went with a cheaper service and it was a huge mistake. I won't go into my horrible experience, but I think that it made me love Tidy Maids even more! They are such a WONDERFUL cleaning service! We had our first cleaning with The Tidy Maids last Friday, and I couldn't be more thrilled. Anita and Isabel did a fabulous job and paid attention to all the details. Before I got home from work, my husband called me and said, "I think you're really going to like the new maids." And he was right! We look forward to having our house kept clean by The Tidy Maids.